Home » Publications » Research Reports » Therapeutic Communities » How Are Therapeutic Communities Integrated into the Criminal Justice System? 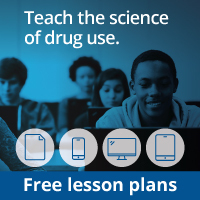 More than half of U.S. prison inmates meet the criteria for a substance use disorder (SUD), a figure that is about five times higher than the general population (Belenko et al., 2013). Also, an estimated 4 in 10 offenders in state prisons across the country have been diagnosed with co-occurring substance use and psychiatric disorders (Sacks et al., 2012b). Integrating SUD treatment with criminal justice has been found to reduce recidivism and to be a cost-effective way to decrease substance use and improve related outcomes and public safety (Wexler & Prendergast, 2010). Some prisons have incorporated therapeutic communities (TCs) modified for the special needs of offenders, and a growing number of community TC programs are providing aftercare for people released from prison (Wexler & Prendergast, 2010). TCs for offenders differ from other TCs in several ways (Wexler & Williams, 1986). As with all offenders, inmates participating in a TC must work during their incarceration. However, they also spend 4 to 5 hours each weekday in treatment (Sacks et al., 2004a), with an emphasis placed on living honestly, developing self-reliance, learning to manage their strong emotions (e.g., anger), and accepting responsibility for their actions (Wexler & Prendergast, 2010). The CBT elements of treatment concentrate on developing the participant’s insight into how his or her perception (or perhaps misinterpretation) of events affects emotions and thoughts that justify criminal behavior. Ideally, therapeutic facilities are separate from the rest of the prison so participants in treatment can live together in a community based on mutual help. Treatment staff members, who include ex-offenders, act as role models and lead social learning activities. In-prison TCs emphasize role models to show "right living" and use peer influence to reinforce changes in attitudes and behavior. Treatment also commonly addresses discharge planning to provide participants with the information they need to access community services upon release for finding housing, training, and treatment and generally facilitate re-entry into the community. 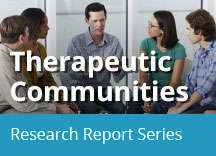 The best outcomes are seen when inmates participate in community-based TC treatment during the transition from incarceration to community re-entry and continue care after discharge to prevent relapse and return to social connections and environments formerly linked to drug abuse and crime (Wexler & Prendergast, 2010; Prendergast et al., 2004). A study of 715 male inmates in California randomly assigned either to a TC or to no treatment found generally high rates of re-incarceration within 5 years after prison release, but re-incarceration rates were lower among those who received TC treatment (76 percent) compared with no in-prison therapy (83 percent) (Prendergast et al., 2004). The study found no differences in heavy drug use or employment rates. Further analysis indicated that men who completed an aftercare TC program after release from prison showed lower rates of re-incarceration (42 percent) and higher rates of past-year employment (72 percent) compared with those who completed in-prison treatment but did not participate in aftercare (86 percent re-incarcerated and 56 percent past-year employment, respectively). Source: Sacks et al., 2004a. In a Colorado study, male inmates randomly assigned to a 12-month TC designed for inmates with co-occurring disorders (some of whom chose to continue community-based TC treatment upon release) had lower rates of re-incarceration (9 percent) compared with those who received mental health treatment while in prison (33 percent), as well as greater declines in alcohol and drug use (Sacks et al., 2004a). Offenders who participated in both in-prison TC and aftercare demonstrated lower rates of re-incarceration, any criminal activity, and substance-related criminal activity than those who received mental health treatment. Men who relapsed during the year after prison release were four times more likely to re-offend compared with those who maintained abstinence from alcohol and drugs, 49 percent versus 19 percent, respectively (Sullivan et al., 2007). Delaware’s correctional system has a work-release program in which offenders receive a paying job in the community about 6 months prior to their release dates but must return to a work-release facility (or prison) when not at work. Compared with ex-offenders who received standard supervision during work-release, those who participated in a transitional TC for 3 months prior to 3 months in the work-release program showed higher rates of abstinence from drugs and employment (Butzin et al., 2005). During the 5-year period after prison release, offenders who participated in the transitional TC relapsed in an average of 28.8 months compared with 13.2 months among those who received standard supervision. The Delaware study has now extended the follow-up to 18 years after prison release, finding a persistent and strong reduction in new arrests among TC participants (Martin et al., 2011). Research indicates that TC-based aftercare can improve the outcomes of offenders who have re-entered the community (Burdon et al., 2007), even when they have not participated in an in-prison TC (Sacks et al., 2012b). TCs can provide aftercare for ex-offenders in residential or outpatient modalities, and both have been shown to be equally beneficial (Burdon et al., 2007). Lower rates of re-incarceration are linked with longer duration (more than 90 days) of TC treatment (Sacks et al., 2012b).